It’s that time of the year again, time when people start talking “out with the old and in with the new”, “new year, new me”, time for new year’s resolutions, but I’m not buying it. First off, “new year, new you”? How do you possibly plan on transforming your life so much in one year that you will be a completely different person? Real change and real transformation is a process, one that happens gradually over time. Real change can begin in the course of one year but often that is only the foundation for the transformation, as actual change takes a lot longer. Can a person change in the course of one year? Absolutely! The change I am referring to is when people state, “this year I will lose weight” or “this year I will quit smoking”. These are all great feats that a person decides to resolve but the truth is these changes and “resolutions” will not come to pass without a goal plan. There I said it “Goal plan”. By now we know how much I love developing and sticking to a goal plan. I mean, hey, I am a girl with a plan. 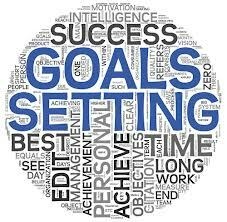 I have gotten the little that I do have and where I am in life with goal plans and I will continue to accomplish great things in life with goal plans, as can and will you. Without a plan your goals and wants and desires are just “dreams” and though dreams and aspirations are a great place to start at they will not get you to the end result that you would like to achieve…which is your ultimate goal. I don’t believe in resolutions because I can’t resolve to fix or solve anything in my life or about myself without a concrete plan. It’s just not going to happen. I tried making New Year’s resolutions in the past and wound up failing countless times. “This year I will get in shape”, “this year I will save money”,” this year I will go back to school”, these are typical resolutions among the vast majority of us but they don’t happen because they are not concrete enough, not specific enough. In order to make a dream a reality you need to see it, taste it and touch it. In other words you need to be as specific as possible in what it is that you want to accomplish and realistic about what it is that you would like to accomplish, in what timeframe and be sure that you will know when it is accomplish. A vague goal is not a “S.M.A.R.T. goal”. Rather than saying “This year I will get in shape” a S.M.A.R.T. goal would state “I will work out three times a week for 4 months”. This goal is specific, measurable, attainable, realistic and timely. I would much rather invest my time into a creating a goal plan and working towards goals than trying to resolve something without a plan. A goal can be anything that you would like to accomplish as long as it is S.M.A.R.T..
An example of another common resolution is “ I will save money this year”. A S.M.A.R.T. goal with this thread could be “ I will save $3000.00 by May 21st of this year”. This makes the goal specific, measurable, attainable, realistic and timely. Now is the perfect time to work on developing those goals that you would like to set out over the course of the upcoming year. I recommend focusing on three goals at a time and writing the goals out with as many details as possible. I personally will be working on three goals over the course of 3-6 months at a time. This helps me to focus on my goals but also not overwhelm myself with year-long goals. By breaking my goals down in different timeframes I assure myself that they will be attainable and that I will have variety in my year. Remember goal plans are to serve you not to enslave you.